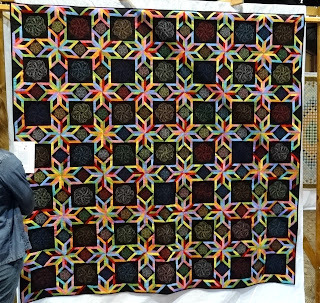 My friend and fellow quilter, Carol, and I went to the big city for a quilt show on Friday. 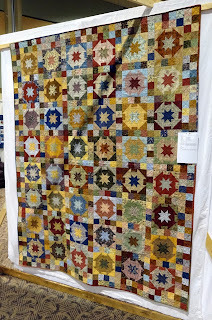 As usual, we ran into some other quilting friends Donna and Marge (thought you gals would like to see your names here) and checked out the offerings for this year. This will be mostly show and tell with just a few words here and there - enjoy! 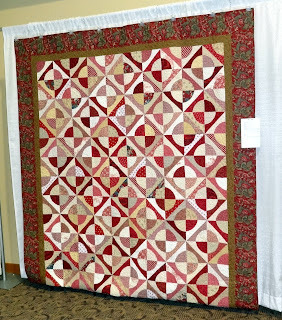 I think this was my favorite in terms of quilting this year! I wonder if I'll ever be able to do this on Vinnie! I just love this Kim Diehl quilt pattern! 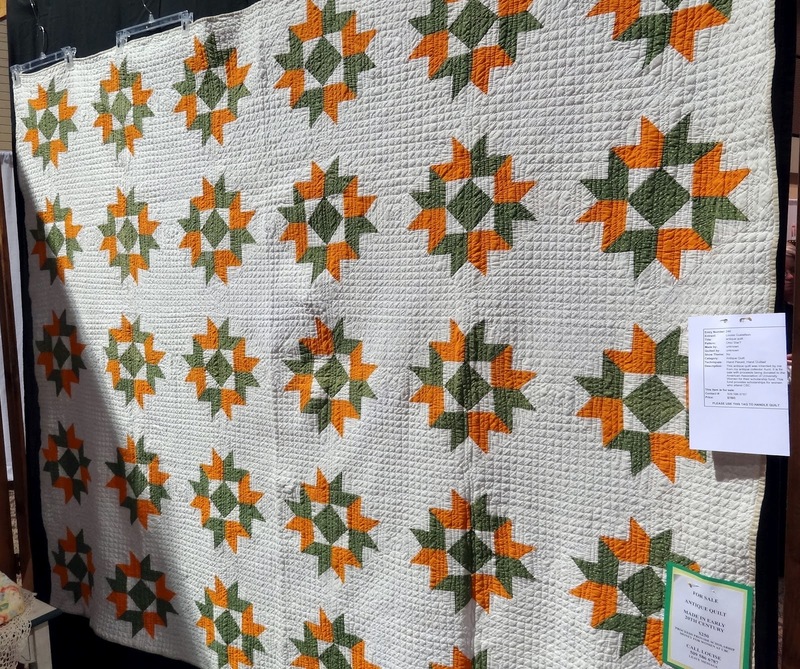 One day I'm going to make it, too! 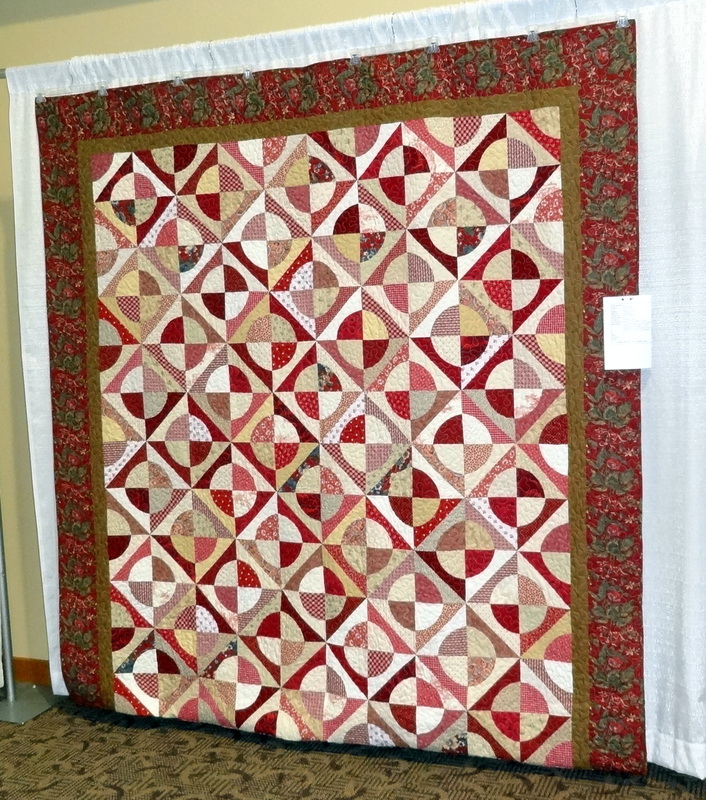 Who doesn't love the craftsmanship that goes into a whole cloth quilt! 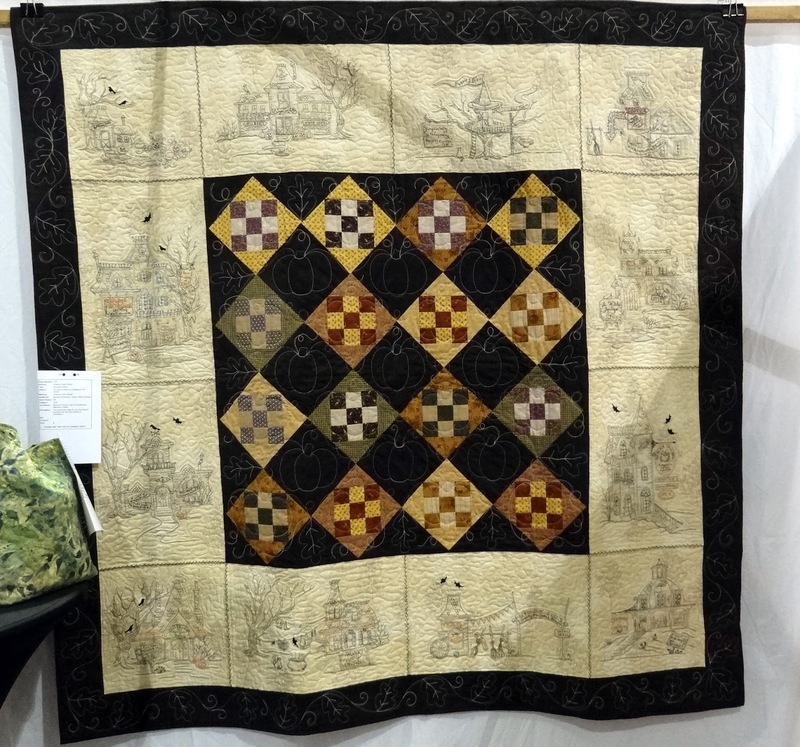 Click on the photo for the extraordinary detail! I liked this quilt for - can you guess??? Of course, the fishing theme! It could have used some more quilting, but we surmised that perhaps the quilter wasn't quite done! 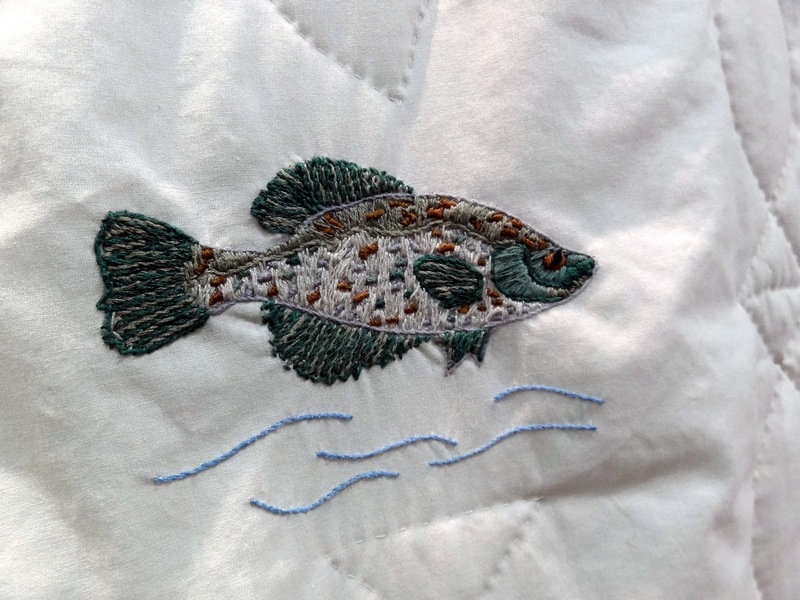 Each of the fish and the basket, rod and net were all hand embroidered! 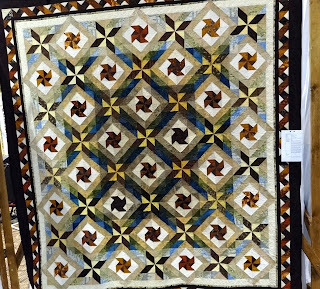 Another quilt on my bucket list. 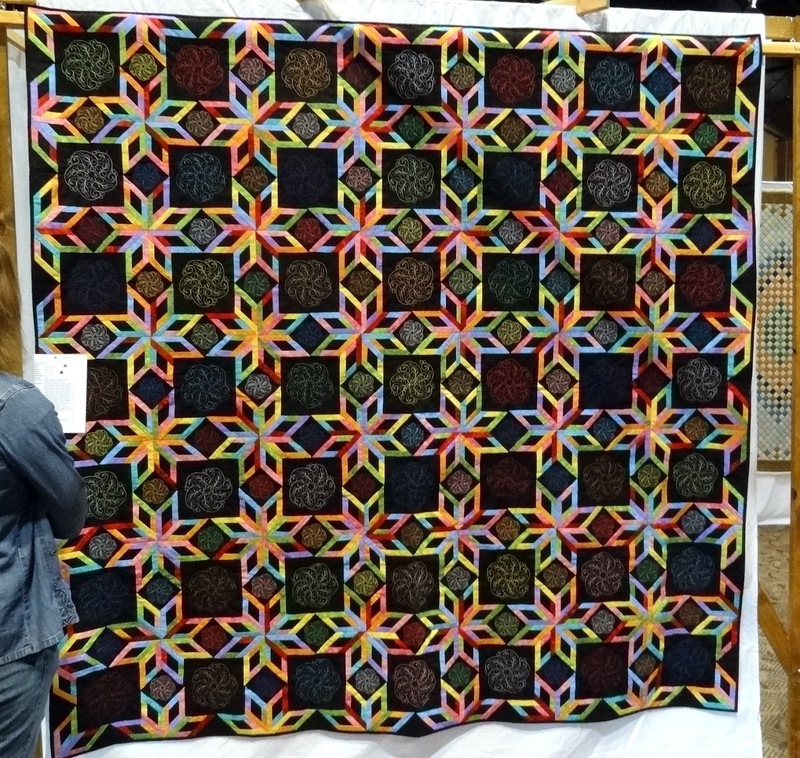 I've got the pattern and lots of scraps for this one - just have to get my rear in gear! 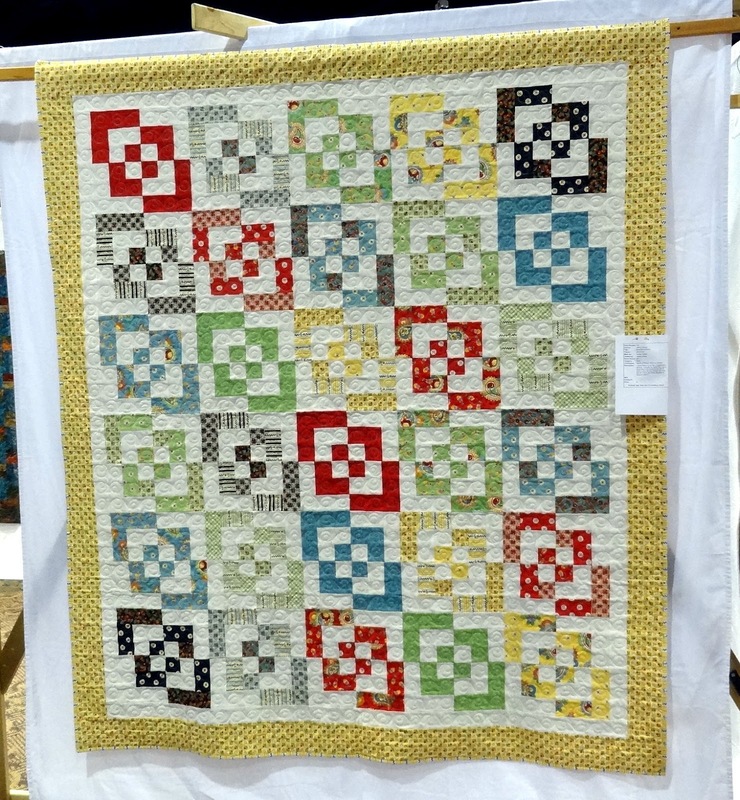 I liked not only the block here, but also the great and unusual use of color! 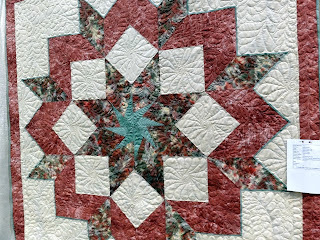 Just gorgeous applique - and look -- it's the 8-pointed star I just showed you how to make the easy way! 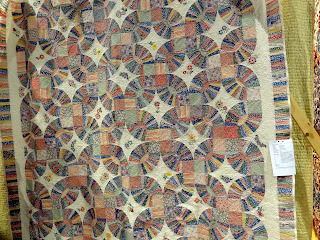 This antique quilt still had very vibrant color to it! The sign said they didn't know what the block was called. Any ideas? 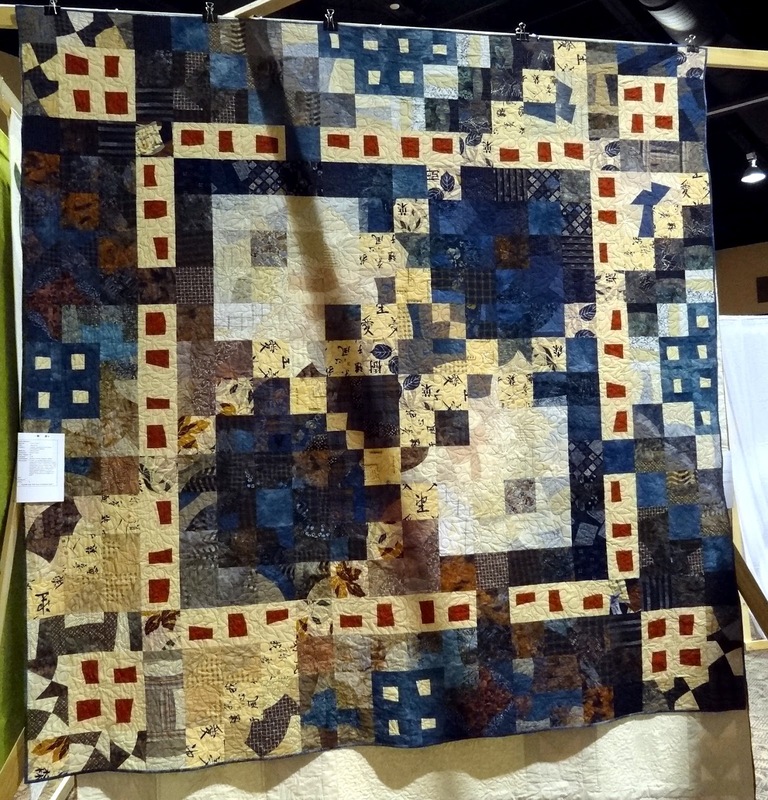 This was the maker's own design and very clever use of scraps and re-purposed clothing! 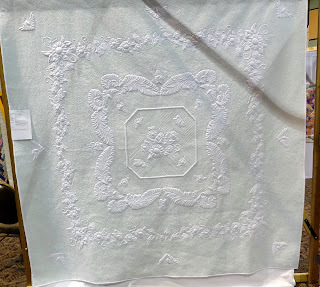 I have the pattern for the embroidery quilt too. I am not in the mood to work on it though. 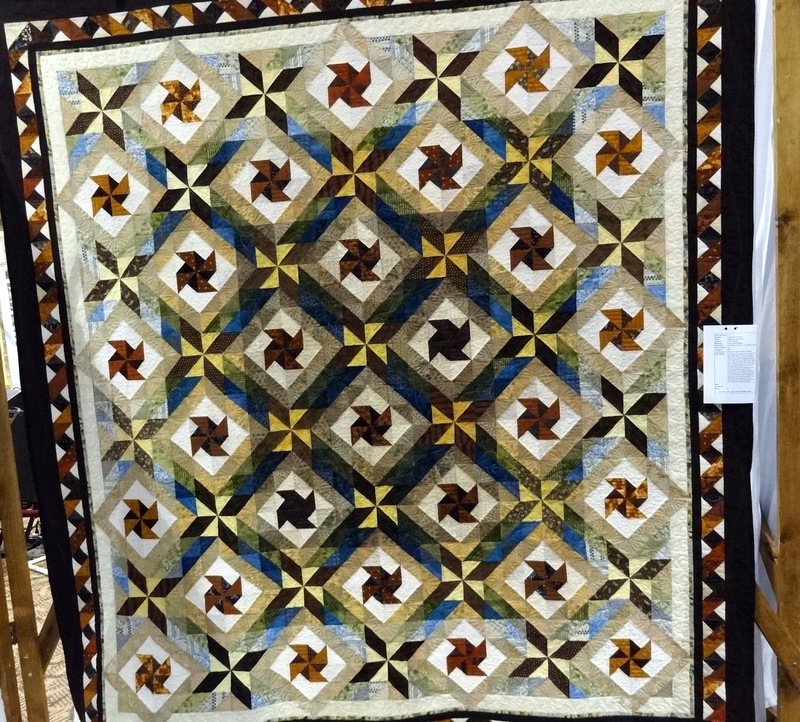 Thanks for sharing the wonderful quilt show! Vinnie says she is ready to start on your favorite from the show. You two can do it! Did you come to the one in Portland> My friend was in a booth there this weekend selling her wool. Great pictures and I too like the fly fishing one...would be fun to make on like this. My husband is a fisherman, but not a fly fisherman...he fishes on the Columbia for Salmon and Steelhead. 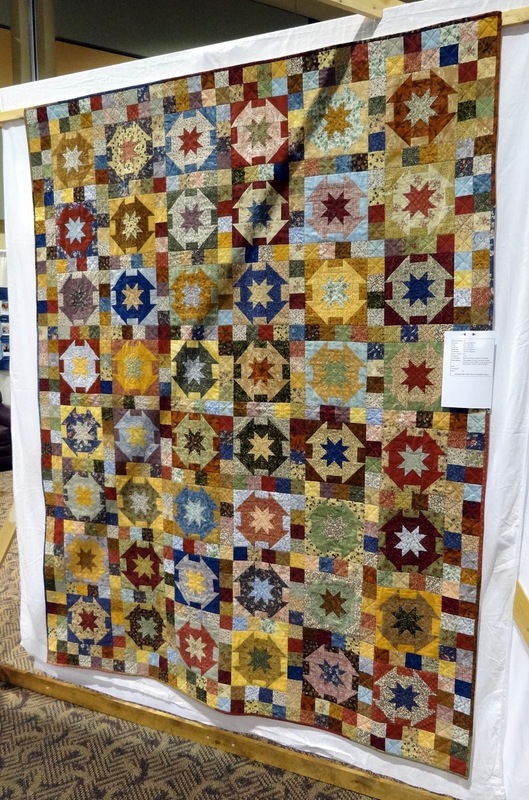 great show, thanks for sharing. Those feathers you want Vinnie to make looked terrific. Thanks for all the eye candy. 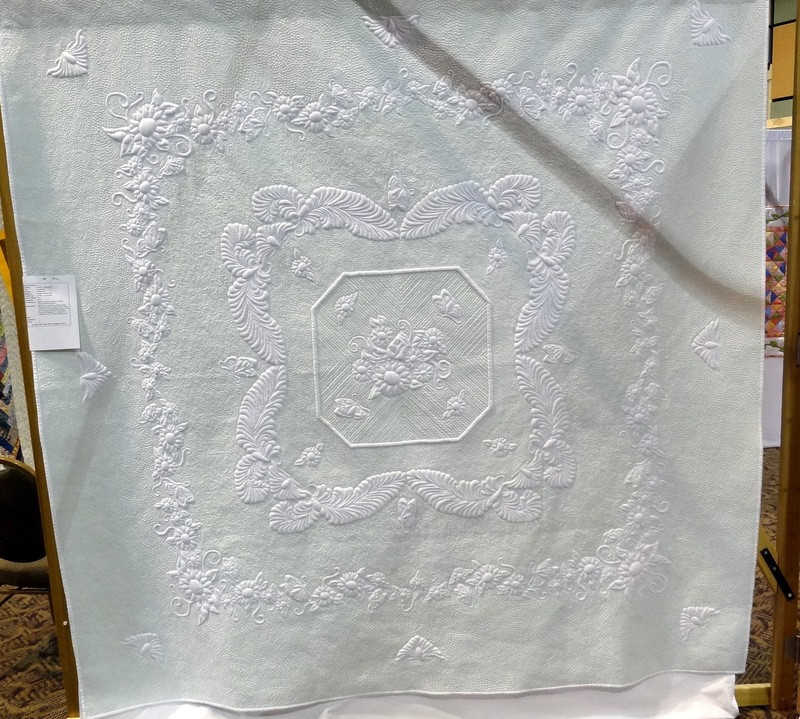 I have no clue what that antique block was called. Such a wonderful variety. 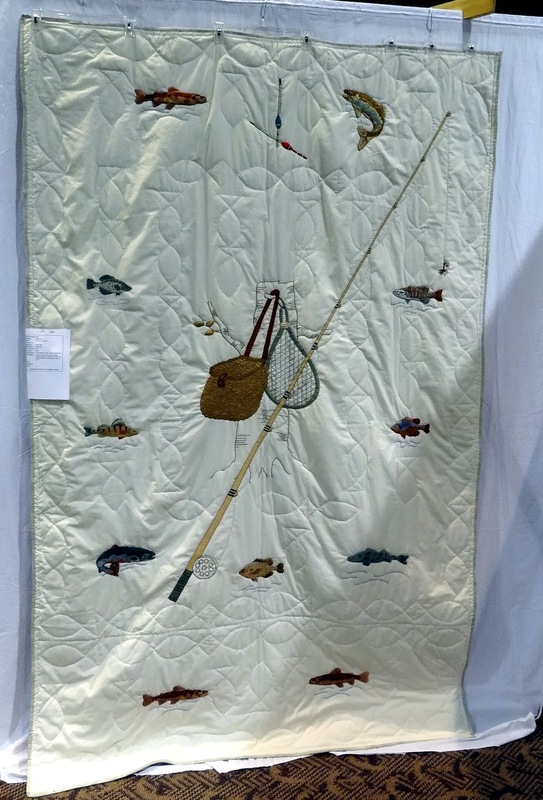 The fishing quilt is definitely you. Those feathers are stunning. I admire the talent of others. 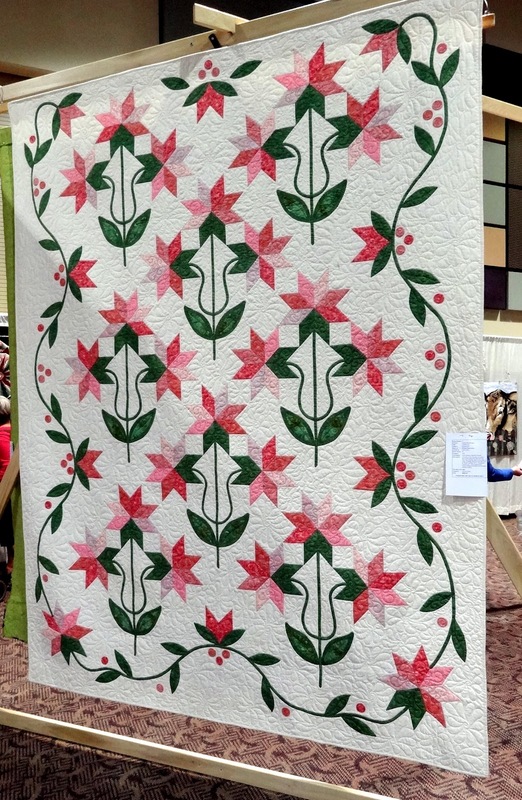 Don't you just love quilt shows? 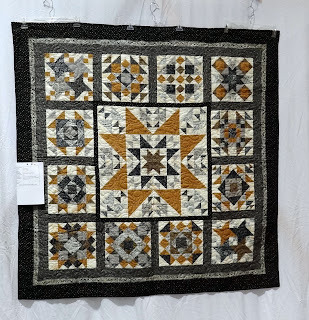 Loved seeing these quilts! 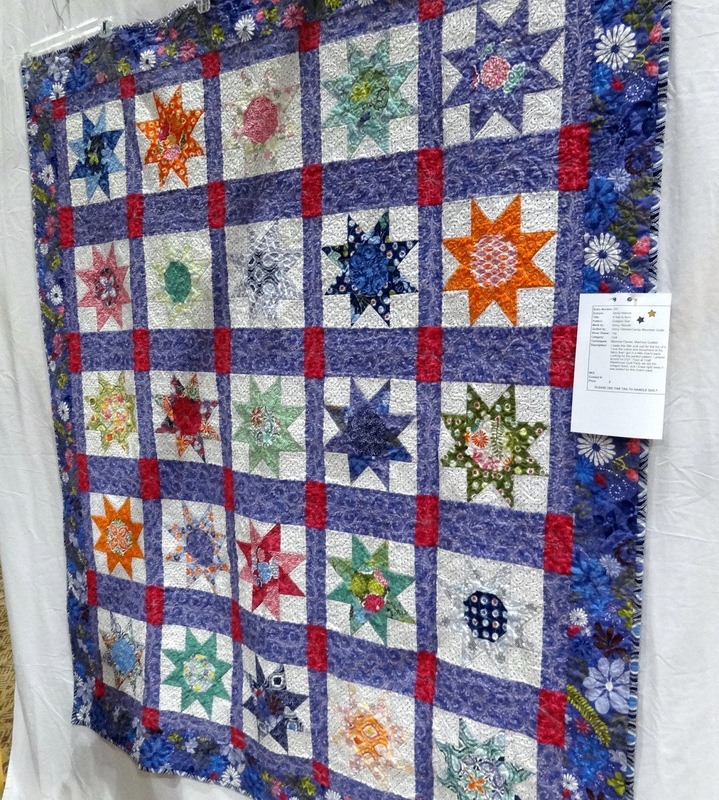 Great ideas for projects. Thank you so much for the ride, loved it !! 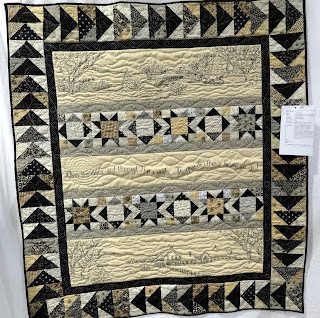 I haven't been to a good quilt show in a long time - thanks for sharing! Thank you for a jaw-dropping show. 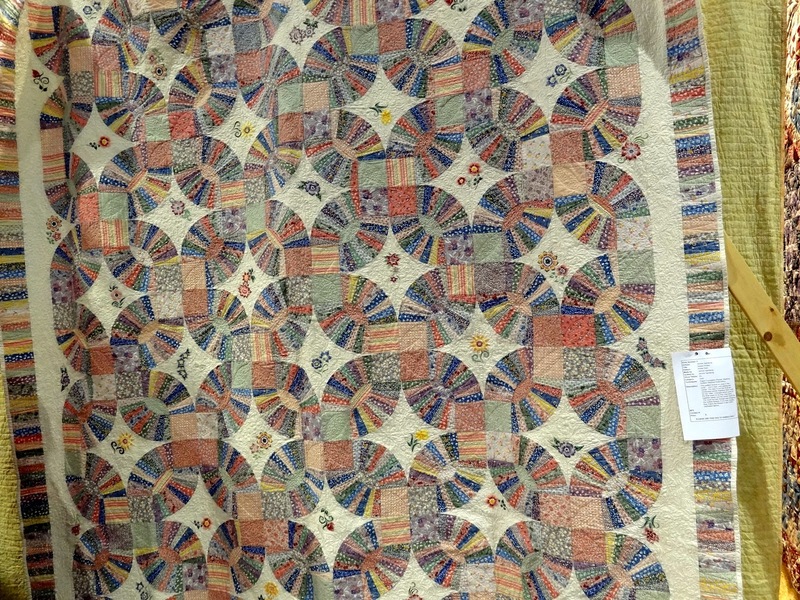 There were some wonderful quilts there. 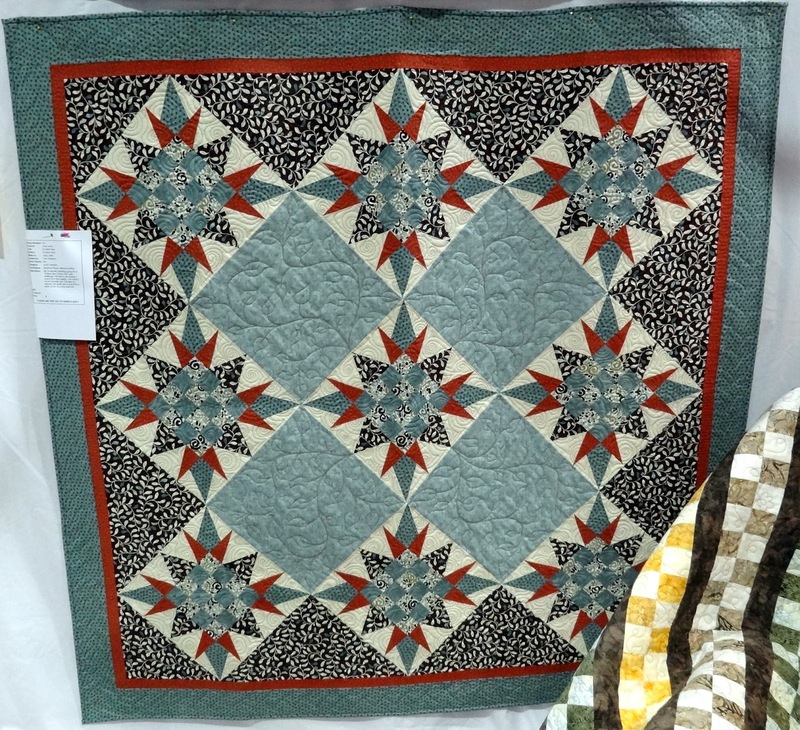 I loved the wholecloth quilt and the Lone Star in particular. 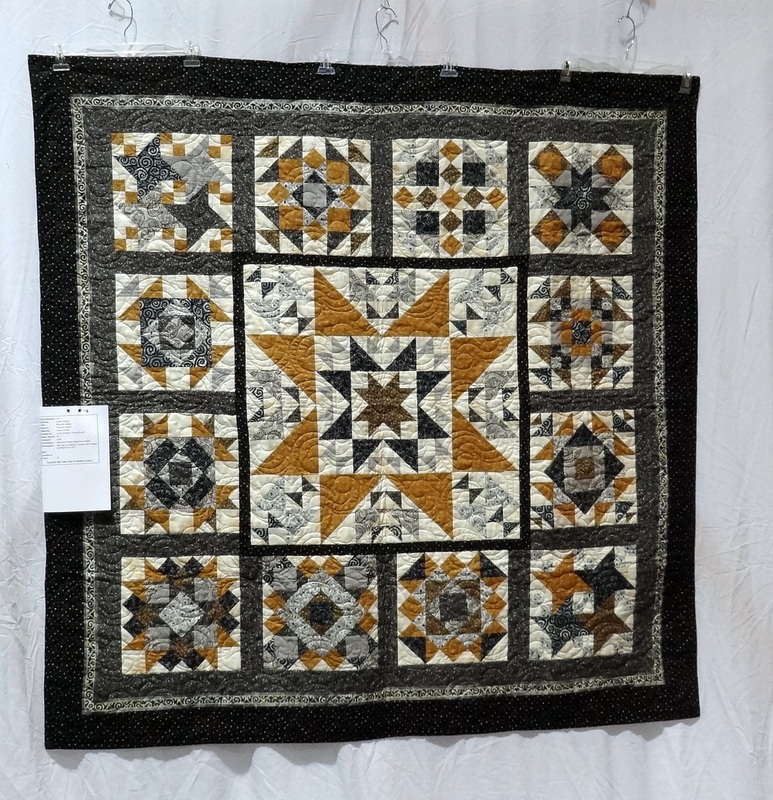 I have been reading your blog for a couple years... 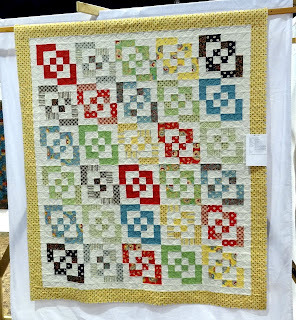 I am excited to see my Breit Bento Box quilt from the show on your blog! Thanks! 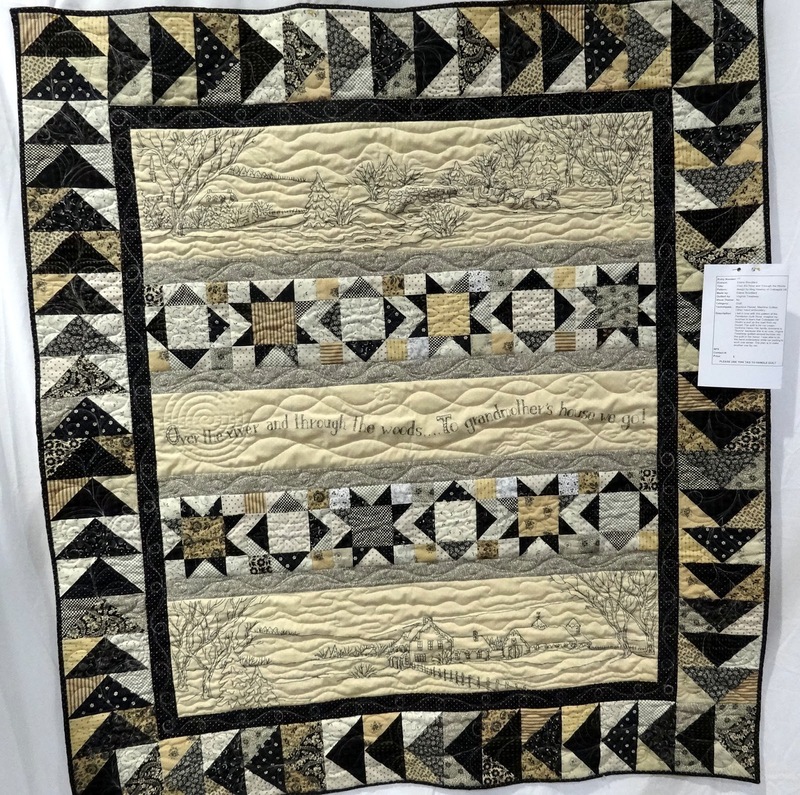 Thanks for mentioning my friend Donna! She's the one that suggested I read your blog. I haven't met Marge yet, but am hoping to soon.